This event hosted by the Wetherby Whaler LS20 8LZ proved a great success raising over £250 for the Spinal Injuries Association. 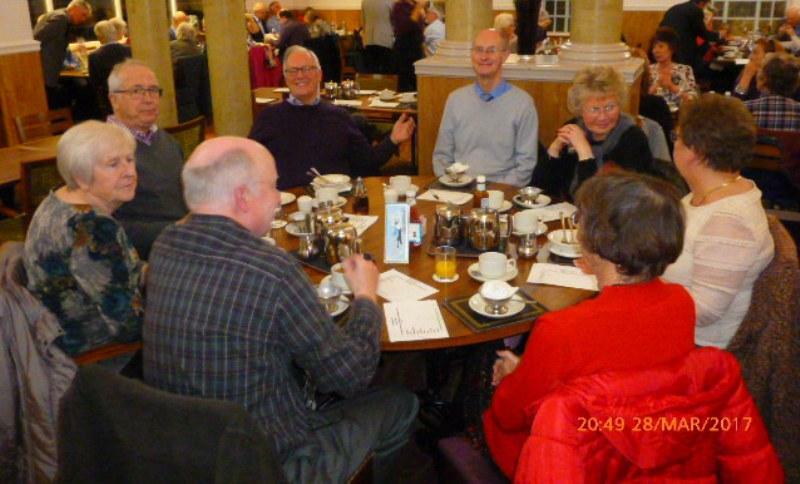 The overall turnout was 86 who enjoyed the meal and later had their quizzing ability stretched over four testing rounds M.C. 'd by Brian Whitham. It was fitting that the winner scoring 31 out of 40 came from a large contingent of fifteen from the Martin House Hospice Yeadon Shop. It was also good to welcome two prospective members Sofia Prassa and Raj Mani with their respective partners Pedros and Bagshur. Barry and Janet Mills won the furthest distance travelled prize visiting once again from Dronfield. Barry Bootland did a superb job in organising the evening including the musical accompaniment. Thanks also go to the Wetherby Whaler's staff for their friendly and enthusiastic service.